This could easily give away the location of the sub at launch time. The value of the drone would be considerably reduced if there were no longer a sub to report back to. Also, I imagine that every one of these drones means one less missile that can be carried and launched. So perhaps only of use when there's no time to launch a reusable long-range drone from an airfield. "This could easily give away the location of the sub at launch time. " Everything that a submarine does is a pretty big risk. Launching a drone is no more dangerous to the sub than launching anything else. And, do you think they've not thought about that? "So perhaps only of use when there's no time to launch a reusable long-range drone from an airfield." Well, only if you're willing to wait for a submarine to lumber into position. Globalhawk is their long range fly-to-anywhere UAV, and if it comes to that they've got a whole load of U2s and satellites as well. No, this thing sounds like it is primarily intended for tactical use by the sub in submarine warfare (which for example would make a sub much more dangerous to the sub hunters) with maybe a secondary strategic reconnaissance role. I don't buy the SF role mentioned in the article. Spotting one of those in the air would be a clear sign that there's some nasty chaps on the way and perhaps it's time to strengthen the guard or whatever. Launching anything out of the missile tubes (as opposed to the torpedo tubes or perhaps a lockout chamber) is going to be very noisy because of the gas system used to "hurl" the capsule toward the surface. In addition, I believe that system requires the sub to be quite near the surface, less than a hundred feet. Thus, big noise, near surface where enemy can hear it more easily seems implausible for real-life use. Using the torpedo tubes, a lockout chamber, or other specialized exit seems more stealthy. The SF aspect makes a lot more sense than anti-ship warfare. The sub's acoustic sensors and ESM can already pinpoint any surface threats within dozens of miles and a tiny little slow drone would take hours to putt over to a distant region of the ocean. However, the speed of a tiny drone (and the difficulty of anyone hearing, seeing, or otherwise sensing it) is well-matched to serve as tactical recon and overwatch for a SF team on a mission heading in from the shore, or pre-mission detailed local recon. They could come in handy close to shore, to see where your seal team is etc. and ensure you are in the right zone for extraction, or to check the lay of the land before deployment without surfacing. "They could come in handy close to shore, to see where your seal team is etc. and ensure you are in the right zone for extraction, or to check the lay of the land before deployment without surfacing." I'd like to know more about the fuel cell powering the drone. If it's a traditional unit and the prop is driven from an electric motor it means they might have a really quiet drone on their hands. It seems reasonable that it would be used like other fuel cell powered recon drones. In that respect the SF role makes sense. It doesn't have the heat signature that a missile does to give it away and I expect the radar profile to be rather small so if it can launch five miles off shore it shouldn't be heard by anyone onshore in the intended target zone. After that, my only question is; is it really disposable or does it have some sort of recovery plan? I can't imagine they want any of the technology being available for just anyone who stumbles across the expended carcass so would it be self-destruct or recovery? Remember what James Woolsey (boss of the CIA) said twenty years ago "We have slain a large dragon. But we live now in a jungle filled with a bewildering variety of poisonous snakes“? Having serious antisubmarine warfare capability, to detect a launch transient and prosecute it, is generally the preserve of dragon-class opposition. There isn’t much of that about any more. If that’s likely to be a problem on the day, well, don’t launch the drone then. The snakes tend to be messing about in skiffs and rhibs. You can hear those a long way away with decent passive sonar, even lying submerged in shallow water just offshore. Then you could launch the drone, fly it nice and high so the people in the skiffs never even spot it, follow the skiffs, then have some helicopter assault ships out on the blue water arrange a nasty surprise. Probably irrelevent if your targets are Afghan tribesmen. Their command and control system never really integrated with their anti ballistic missile submarine capability. "The navy is feeling distinctly left out in the choice of landlocked deserts as the theatre-du-jour for spreading democracy"
Except that a six hour endurance leaves those landlocked deserts still out of reach at the speed a fuel cell driven drone would fly at. But, it sure would be handy in anti-piracy patrols, SEAL team operations, general surveillance needs in a limited area that a submarine based force would require. Observability is lower than a global hawk and few would expect a drone coming out of apparently nowhere in our current areas of operations, which is counter-terrorism. As there are only 12 VLS tubes in the sub, and not much spare space to store torpedo-tube-launched drones, one hopes there is some means to recover and refurbish the drone on the sub for re-use. As noted above, carrying drones in the VLS tubes (which can't be reloaded at sea) means leaving ashore Tomahawks that can actually attack land targets. The Tomahawk system as designed originally included versions for both land attack (some nuclear) and anti-ship. Current versions are all land-attack, with various conventional warheads.
" one hopes there is some means to recover and refurbish the drone on the sub for re-use." Of course there won't be. Why would you stealthily launch this whilst submerged, and then surface in full view to recover it? Like much military kit, this (in field use as opposed to trials) is on a one way journey. @MondoMan - I would stop now, you are sounding more ridiculous with each post on this subject. "People are inherently populists, but ideas that are commonplace today (round Earth, heavier-than-air flight, jet engines, nuclear submarines) were, once upon a time, not only works of science fiction - but fantastic science fiction." Oh, you were doing so well there until you came up with the flat earth belief myth. The earth's been known to be round for millennia. This is the reason that Colombus had such a problem getting funding for his trip: people knew how big the world was, and if you remove America from the globe you are looking at a suicide mission to last that long at sea. Why would anyone want to recover it unless it has something onboard that's sufficiently classified to make it worth the effort and its self destruct fails. Even if each launch costs $1m, it's a drop in the ocean of US military funding. It's disposable. "My guess is that the drone has a small explosive charge on board"
Why bother? Have it head out to sea, drop into deep water. Pressure and corrosion would complete the job of destroying any sensitive technology present. Because Army/Navy/Air Force are now somewhat archaic divisions in the unified military services outside of a bit of competitive camaraderie and personal pride. So a Navy's submarine launched drone might well be supporting an land action being taken by any branch of the UMS. Nah, no need for scuba guys. You just open the the front recovery module on the sub a-la James Bond and bring it to the Captain's spacious quarters where his curvaceous assistant begins the refueling process. >Why would you stealthily launch this whilst submerged, and then surface in full view to recover it ? On a side note, the VLS isn't that important as Tomahawk and Harpoons can be launched from the torpedo tubes. In fact the early set of Los Angeles subs had no VLS but most if not all carried both types of missiles. That means you can stow a dozen of these drones without impacting your missile or torpedo capacity. A definite thumbs up for that reference. Not bad. I think "Das Drohn" would be better though, it's closer to the German "Drohne". Taking your multi £Billion Nuclear sub right up underneath the Russians newest Carrier (The Kiev), tracking it and photographing its features. Then slipping away unnoticed with all the ships sonic signatures in the bag. He came across in the prog as 'it was just another day at the office'. "If you would like to find out more about the awesome power of nuclear weapons, press the RED button now!" And everyone was surprised China actually kept its word on that -- many had assumed they'd refurbish it and return it to service, like they did with the Varyag. A carrier like Kiev wouldn't be much of a threat to the West, but more than a match for the various developing countries China is trying to dominate, like Kenya, Vietnam and Myanmar. Soon to be the US Navy that did this, at least if Hollywood has anything to say on the subject. I should have noticed that "Royal" was absent from the title. > Taking your multi £Billion Nuclear sub right up underneath the Russians newest Carrier (The Kiev), tracking it and photographing its features. Then slipping away unnoticed with all the ships sonic signatures in the bag. Did they mention that on one of those missions (don't know if it was the Kiev or another) the sonar on the Soviet ship was identified as being a new US design that wasn't even in service with the US? The sub finished its mission and headed back to Gib. ; reported what they had found and was promptly ordered back to the Black Sea with a US bod on board to hear for himself. The crew weren't overly pleased to lose their shore leave! Anyway, as a result, a while later a spy ring in Miami (IIRC) that had infiltrated the sonar developer was rounded up. The Russians stole like magpies, everything from ammunition to space shuttle designs. The US finally decided to teach the Russians a lesson, with the Farewell Dossier. If a sub is actually carrying Tomahawk-displacing drones, it will be for very tactically important reasons. It's possible the photos are really for public consumption, and the drones are loaded into quad- or six-pack tubes, much akin to a revolver pistol. So, maybe SIX drones are displacing one T-Hawk. Besides, a 2000-mile range Tomahawk could be reconfigured as a very large, very expensive drone of sorts, sans warhead, or with droplet munitions packages to take out targets of opportunity so long as their is fuel onboard and as long as their are comms links to the missile, or some AI programming telling it how to deal with a decided-upon "target-rich environment" in advance. The drones probably need be in only around 6 inches in diameter radial tubes. And, given the length of a VLS tube, it is possible that some drones could be only 2 feet long, meaning that possibly 3-4 vertical stacks could be used. So, if a huge net/mesh needed to be built for a tactical picture that for some reason U-2s, AWACS, satellites, or P3 ASW planes could not configure in a timely manner, a suitably-equipped attack boat MIGHT really have not simply ONE single large drone per silo, but maybe 4 or 6 per ring, and maybe 3-8 rings, meaning 12-48 drones. Simply fire the top ring first, and every subsequent launch could then either be the most immediately-below position's ring or alternating between an upper ring and a next-below ring so that multiple vacant rings up top can be exploited. The drones then could either be directly fired from all the way below, or moved up by some type of mini-ram to make the acceleration path in the sub as short as possible. Mind you, this is just stuff I'm making up as I write this, not pre-planned before writing. The serious drawback to my idea is that once the rubber/water-blocking membrane is blown off, water will deluge the silo. That much water weight could rupture the walls of any adjacent silos. But, as I think I can recall back into the mid-80s, from looking at magazines, those 3 to 6 VLS tubes could optionally be made as each carrying 3-6 mini tubes. Of course, the main tube's diameter is not as large as the ICBM/Trident silo tubes. But, one can still imagine that 12 drones can build a better mesh/grid tactical picture than one, especially if there is a need for a self-healing eye-in-the-sky network. If the launching boat is attacked, shadowed, or harrassed, it probably could shift tactical control of the drones and the mesh to a back-up boat. Hence, "Wolfpack, anyone" in the subject line. Of course, it would be a very-spread-out wolfpack since the ranges and speeds of such boat's weapons are vastly greater than the German U-boats and wolfpack fleets of the past. Also, with so many on board, they can be various in model type, range, and maybe even have an ability to drop a sononbuoy or two. These could offer stealthy relay advantages of some sort. With such a number of drones onboard, the probably would not be a real reason to "recover" the drones. They could be designed to be "biodegradable", not for "green" reasons, but to ensure that if they ditch- and they will at some point -- feet wet, then their dissolving could mitigate risk of "enemy" capture and reverse engineering, meaning a reduced incentive to put lives at risk trying to recover such highly-classified-likely devices from defended territories Once they go feet dry, though, some sort of self-destruct/auto-immolation might be desired, but might conflict with safe handling and storage/stowage aboard a sub. > Once they go feet dry, though, some sort of self-destruct/auto-immolation might be desired, but might conflict with safe handling and storage/stowage aboard a sub. And AFAIK this is the first time that's been done. Sea water x submerged (IE big pressure difference) x complex mechanical unfolding --> Big f**king problem. Thumbs up for solving it. BTW This being a US design the drone will probably have sat commes back to the US or to an orbiting aircraft over the border from the target. Talking to a submerged submarine is difficult. js, the Tomahawk already does underwater capsule expulsion, igniting short booster once above the water, then unfolding wings and engine air inlet and continuing under turbofan power. I think the main thing need to deploy an aircraft in the atmosphere of Mars is rather more atmosphere. Wings don't get a lot of lift in an atmospheric pressure equivalent to an altitude of about 150,000 feet on Earth. Yeh ... another military toy. Amazing what can be done with mountain$ of ca$h. Launch a drone, splash the wrapper, buzz around for a look-see, maybe pop off a mini-missle, and splash the drone. Write off the cost of another high school or daycare center or clinic. Celebrate the increased quarterly profit statement of AmerDyne/WarBux, Inc.
Big leap forward. Po$itively thrilling. The USN are bidding for the new Amazon delivery contract! Could we deploy a special forces team using this technology? "Could we deploy a special forces team using this technology?...." It wouldn't be very discrete, it would be rather noisy the minute it broke surface. The USN already has more discrete methods for delivering SEAL swimmer teams from submerged subs offshore, and if they need to do speedier delivery then they can use the Osprey or traditional choppers to deliver a team from a amphib carrier. Think of the business opportunities this could bring. Launch projectile, switch on camera, fly along local foreign High Street, see which businesses aren't there, and hey presto within a couple of months 58 coffee shops, fast food restaurants, and bookies all plying their trade. Not forgetting the £ shops (sorry that should be $ shops). And on the way back it could check for expired tax discs and illegally parked vehicles. "And on the way back it could check for expired tax discs[...]"
AFAIR the Israelis sent drones into Syria that mimicked the signature of jets. When radar had locked on to them the real jets following behind could destroy the radar/missile units. Maybe this XFC UAS drone is intended for similar purposes. Is this how the US Navy is squandering it's money? Please Navy, tell me how you plan on recovering said drone, or is this just a "fire and forget" type of waste? Maybe, just maybe people could look at this sort of expenditure as a method to help keep the troops safe rather than risk more lives or fire more ordinance. Anytime you can get eyes on target, you reduce the overall risk to the "boots on the ground". Anytime you can do that, the cost of the lives saved outvalues the cost of the equipment lost. You can't radio-control through water (well, you can. But that's the rule-of-thumb). So it's going to be an autonomous drone. This means it'll have smarts on-board that can look at the world around it, identify vessels, etc. So Drone pops up, scans the surrounding area then compresses the data as far as possible before dropping to the sea surface. It can then use an acoustic modem to send the data to the sub without giving away the sub's position too exactly (some of those modems have a 7km range (so if you see the drone you only know the sub is somewhere in a >21sqkm circle), and I'd be surprised if the hydrophones on a sub couldn't top that for receive-only functions). The drone could then turn into a Slocum-style glider AUV (flooded body so as to kill the electronics, air-filled pouches in the wings for buoyancy, wax-pouch hidden somewhere in the body) to get itself away from the Transmission zone (further obfuscating the position if the sub) without needing any batteries. Its a tactical weapon to gain additional "live" over-site information where satellite coverage may not be available or adequate for purpose and thus may well save the lives of those in the naval services.As for cost I bet its final cost will be no where near the same as all the shoulder fired weapons used by other military services. Loitering vertical capsule expulsion system. How about using the kind of vertically-orientated tech that has been used for oceanographic survey buoys for years. Those things spend years going up and down automatically in the water column monitoring salinity / temps etc. Discreetly launch the pre-programmed launch vehicle (firing tube) nice and quietly into position a few meters below the surface, assisted with said buoyancy tech. Move away to desired position and wait for the thing to fire out of the tube at predetermined time and acquire target etc. That way, if the launch does attract the enemy's attention you're long gone. Of course, you would need confidence in your knowledge of currents / drift etc. but surely that's got to be a big part of sub navigation already? If launch fails, after a predetermined time limit, it destroys itself. But only after sending out a brief, coded, sonar message as a warning - never return to a firework you have already lit! Well, I'm of to the patent office, see yer. ...wonder when one of these radio controlled fuckers is going to be involved in a "Friendly-Fire" incident? And which one of the allied forces is going to cop for it first?....my money's on the Italians. But can that sub-launched drone deliver my Domino's pizza? So presumably, the X will be dropped as the system becomes every day. And it might need a dedicated launch tube. Can I suggest the "FC U AS Hole"? IMHO= this is first strike stuff, per the Seal Ads on US TV...by the time you see us, we are already gone... BTW, the drones cost way less than missiles and, are expendable...RS. 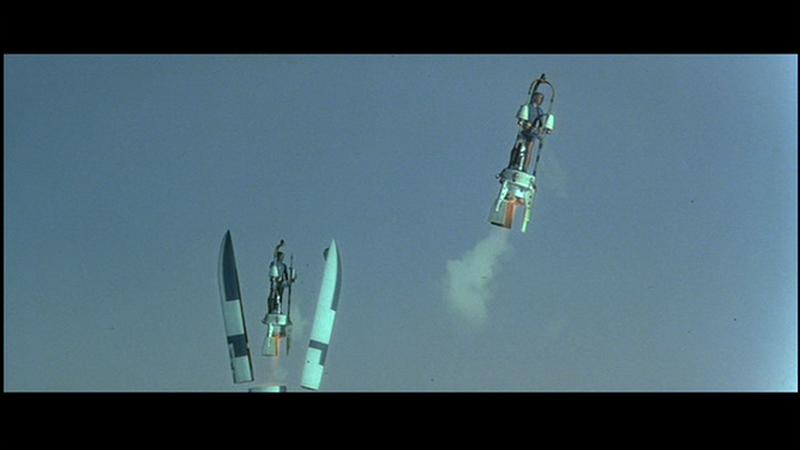 I guess the US Air Force will need to come up with a way to stick drones in ICBMs to compete with this?